Research Directions • Early Cancer Diagnosis- search hard and don’t let go Circulating Tumour Cells (CTCs) are cells from solid tumours which have spread into the blood, including at the earliest stages of the disease. Studying CTCs is going to have a major impact on choosing the best way to treat cancer, as well as for understanding how cancer develops. 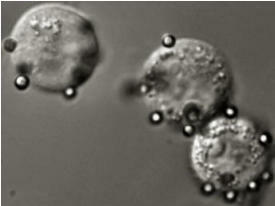 Capturing CTCs is difficult because they are very rare and variable. 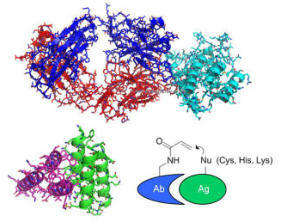 We have dissected the basic molecular interactions involved in magnetic capture of cancer cells: weak links at each stage mean that often only the highest expressing cells are captured. 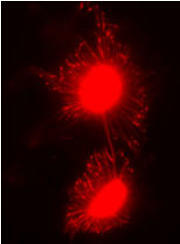 From this work we have shown how to capture cancer cells expressing the lowest levels of tumour marker. We are further developing the speed and sensitivity of CTC capture, while studying how CTCs can guide us as to why novel cancer therapies succeed or fail. 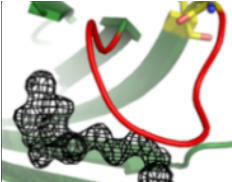 • A New Generation of Protein Interactions- Superglue from Bacteria We have harnessed an amazing feature of the hairs (pili) on the pathogenic bacterium Streptococcus pyogenes. 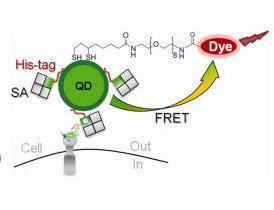 This enabled us to form a spontaneous isopeptide bond between genetically-encoded protein and peptide partners. This interaction is unbreakable, including against high forces in biological systems (blood flow, cell migration, molecular motors). 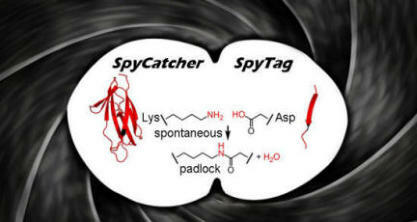 Our latest interaction, SpyTag with SpyCatcher, is the strongest protein interaction yet measured and is being applied around the world for diverse areas of basic research and biotechnology. 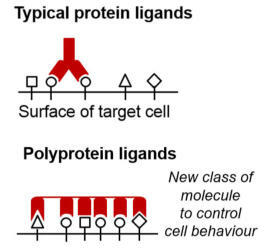 We are extending this new class of protein interaction, to create novel possibilities for synthetic biology: • protein tentacles for sensitive CTC capture • protein dendrimers for detecting anti-cancer immune responses • SpyRings: cyclised enzymes with extreme resilience to produce robust diagnostic devices • protein teams allowing programmable combinatorial control of cell signalling. • Vaccine development: Immuno-engineering We have established an approach to accelerate vaccine development, through our Plug-and-Protect platform. 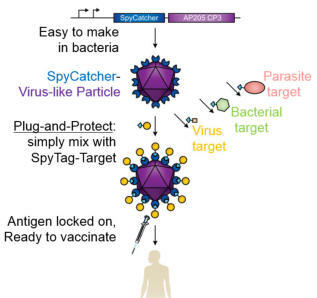 A limiting factor in vaccine generation is the time and money required to turn a promising antigen into a highly immunogenic assembly. We showed rapid and efficient decoration of virus-like particles, which elicited a strong immune response even with only a single injection. We have shown potential initially towards the global health challenge of malaria vaccination, working with collaborators at Oxford University’s Jenner Institute, and our future work will test this platform for immunization against cancer and different infectious diseases. By further immuno-engineering, we will investigate the principles required to overcome the limitations of current vaccine systems, in terms of long- lasting protection and combatting immune evasion. 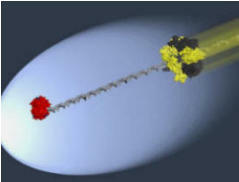 • Nano-Architectures for Cell Imaging and Stimulation We are re-designing one of the most useful interactions in the biosciences, streptavidin’s love of biotin: • removing cross-linking (for single molecule imaging of growth factor receptor trafficking) • surpassing one of the strongest non-covalent interactions in nature, with traptavidin showing reduced off-rate and increased mechanical strength (tested at the single molecule level by AFM with Vincent Moy in Miami and by crash- testing DNA pumps with David Sherratt) • crystallographic analysis of the limits of non-covalent interaction, studying traptavidin and creating Love-Hate ligands • SpyAvidin hubs for bionanotechnology, enabling two ultrastable links from one hub as well as assemblies from 4 to 8 to 20 subunits (maximising T cell activation). • Antibody Engineering Studying the limits of cancer cell capture made clear that even the best antibody interactions are not good enough. 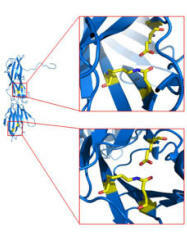 We are working to develop a new class of antibodies/affibodies that form covalent bonds to endogenous protein targets. 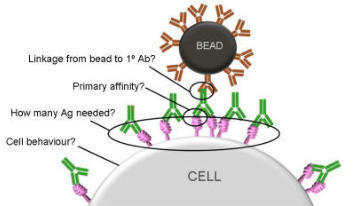 Antibodies that never let go of their targets should reduce the detection limit of soluble biomarkers for early diagnosis, as well as helping CTC capture. Get in contact for further information about any of these projects, or to discuss the possibility of working on other projects in the area of bionanotechnology / cancer biology.